Church bells louder than a truck horn would strike every morning at 5 a.m. and continue every half hour until 7 a.m., making it impossible to stay asleep. The sun would shine through the small hostel room, filling it with light and heat. This meant everybody woke up at the same time and raced to get to the bathroom first. This is what every morning meant for four Ryerson students living in Pisac, Peru. 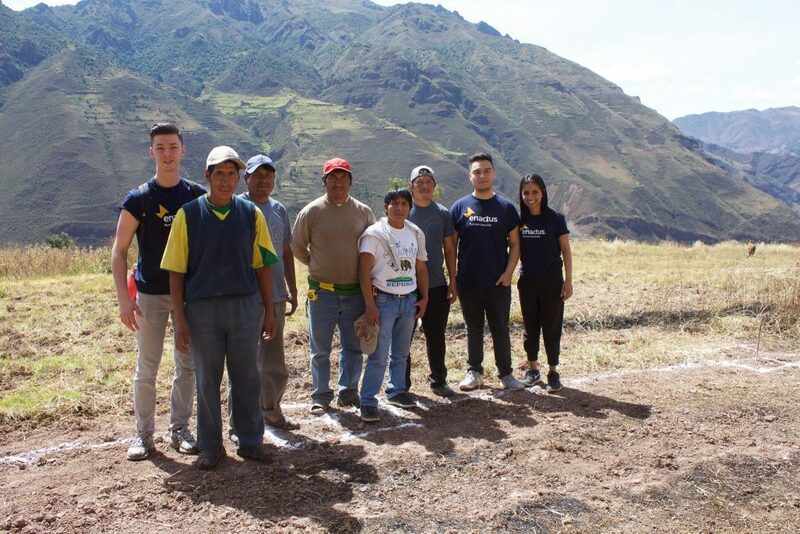 Pavneet Sandhu, Jordan Hanna, Anthony Garcia, and Tran Mai, with the help of Enactus Ryerson, came up with Project Sacred Valley, the idea to create a sustainable community through education and business knowledge in the not-so-stable city of Pisac. 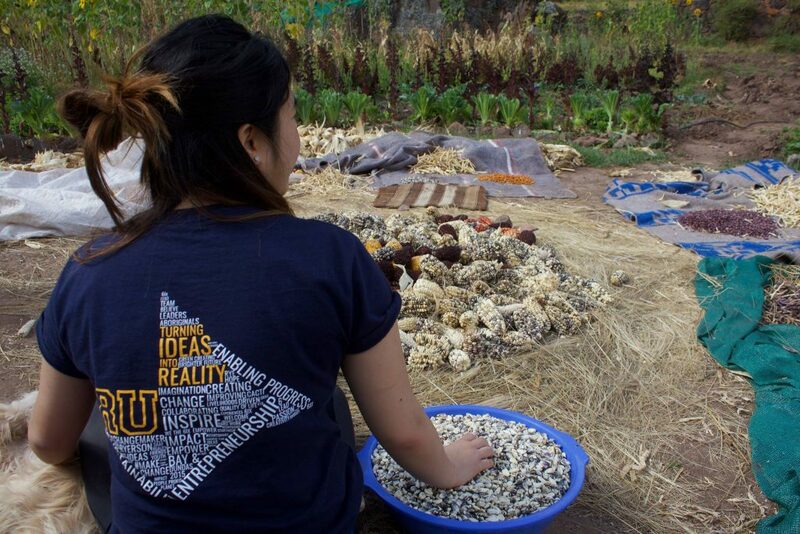 Enactus Ryerson is a non-profit student organization that integrates business knowledge and entrepreneurial action to help stimulate sustainability around the world. Sandhu and Hanna are the project managers, and Garcia and Mai are team members. The idea for Project Sacred Valley came when a local school in Peru, Kusi Kawsay Andean school, reached out to Sandra Hart, family friend of Enactus Ryerson’s project developer, Aidan Heintzman. The school asked for help in the development of a curriculum. Hart contacted Enactus who then began brainstorming a project. According to the Human Development report, around 10 per cent of the population in Peru earns less than $2 a day. This makes life very difficult for young children who are often obliged to join the workforce at an early age, as their family is unable to meet household needs, let alone pay tuition fees. The work they take on is mostly mining. “The children have no opportunities to flourish, and these kinds of jobs put their lives at risk,” explains Sandhu. Kusi Kawsay Andean was built for students whose parents cannot afford to send them to an accredited school. The parents of these children are servants to other families in Peru. They are asked to pay whatever they can afford to enrol their child. However, because of the minimum rate, the school is unable to run efficiently throughout the entire year because it doesn’t have enough funding. Enactus Ryerson has partnered with the Kusi Kawsay to implement an initiative that works to promote entrepreneurial knowledge of organic agriculture in their specific region. Working in agriculture provides a safer work environment for the children and allows them to afford their attendance at the school. As of today, Enactus has travelled to Peru twice. First in October 2015 for 10 days where they met with the teachers and assessed the community’s needs and possible opportunities. After returning home, the group created booklets filled with business modules, lesson plans and relevant examples the school teachers could use. They handed these over to Kusi Kawsay in May 2016, when the group stayed for a month. “We take examples from what we have learned in class at Ryerson and change it so it works for younger students in kindergarten through Grade 12,” Sandhu says. In May they helped open up an organic garden in Pisac. The locals refer to the farm project as Kusi Ñan. They partnered the garden with five local restaurants in the community to sell their produce to. The organic garden teaches the students and the instructors about partnership — how to sell a product and maintain a business relationship by keeping track of supplies, cost and demand. Those who work at the organic garden are a combination of students and graduates of the Kusi Kawsay Andean school. This has allowed the students to work in an environment that is safe, collaborative and more enjoyable, while still being able to provide for their families. It has become the main source of food for families. Individuals are able to invest in fruits and vegetables from the local garden because it provides a cheaper alternative to imported agriculture. “Watching the school children, their families, and the staff at Kusi Kawasay school embrace this project and turn it into their own is probably the most rewarding part of what we do… it’s powerful to see that they believe in this project just as much, if not more, than we do,” Hanna says. The English teacher at the Kusi Kawsay Andean school, Marina Flevotomas, has been the main contact in Peru for the team at Ryerson while they are back in Toronto. “Our students do not work with or learn with technology. They are hands on visual learners. Enactus has created manuals specifically for Kusi Kawsay and Kusi Ñan, which have helped to teach them important knowledge. It is very impactful to know that we have allies who are committed to helping us long term,” Flevotomas said. Though Enactus Ryerson is a student group affiliated with the university, the money the group has used to fund this project has come from sponsorships from businesses such as Tim Hortons, CIBC and Green Lotus. The students have also contributed from their own pockets. “We pay for our flights, accommodation and food ourselves. I’ve spent roughly $2,500 myself (overall),” Sandhu says. At the moment, the team and Enactus Ryerson have spent a total of $8,000 on the project. The money gained from the organic garden is used to pay the workers in Peru. A percentage of the funds is sent into a savings account to maintain the garden, and a percentage is sent to help keep the school running year-round. The exact figure of how much the garden is raising has not been determined. The team is returning to Peru this May for three weeks. They hope to update their lesson plans and expand on their partnerships with local restaurants, as expansion will result in having the ability to employ more local students in a safe work environment. Check out some more pictures from their latest trip, courtesy of Project Sacred Valley. A march for all women?